There are currently 108 universities in the United Kingdom, and you have to somehow narrow it down to 5. Many students tend to rely on reputation, reputation, reputation; but there are lots of other questions you need to ask yourself. What are my predicted grades? Do I want to be at a campus, city, or collegiate uni? How far away from home do I want to be? What are the specific modules for my course and would I enjoy them? How big is the university? How expensive is it? Do I have an insurance? There tends to be a bit of an assumption that there is a universal ‘unay’ experience, but it couldn’t be further from the truth. Every university has its own set of defining characteristics which people will prioritize in different ways, whether it be the aesthetic of the buildings, the variety of nightlife, the number of libraries it has or whether its halls are self-catered. You have to decide what is important to you, and choose accordingly. Whilst there really is no substitute for open days when it comes to judging the ‘feel’ of a place, they also involve time, effort, and petrol money. Do as much research online as you possibly can – order prospectuses, look at student forums, search individual department websites, scour league tables, and talk to your school’s Careers Department – because the more information you collate, the more confident you’ll feel about your decision. Nothing instills writer’s block quite like a personal statement. In 4000 characters you have to sell yourself but not show off; explain your interests without seeming insincere; and condense your entire extra-curricular life into a paragraph. You have to be concise, engaging, articulate, enthusiastic, personable, informed, direct, passionate, succinct – and yet not sound too much like a thesaurus. A final tip is to print out your personal statement before you edit it – you’ll be amazed at how changing your physical perspective can also change your mental one too. For many of you, submitting your UCAS application means that you can sit back, put your feet up, and binge on that series you’ve been putting off whilst researching which university has the cheapest bars. 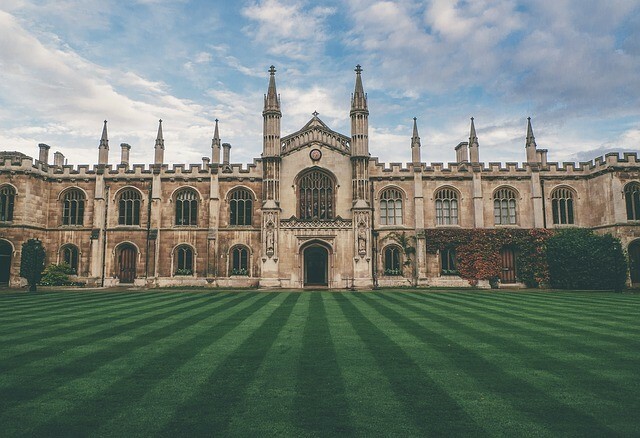 Some of you though still have to prioritize mock interviews over Made in Chelsea, and entrance exams over Eastenders – and this sacrifice doesn’t just affect Oxbridge applicants. Universities such as Kent, Warwick and UCL all interview for certain courses, whilst 24 universities require the UKCAT for prospective Medicine students. Whatever your situation is, the key is to practice, practice, practice. It doesn’t necessarily have to be a formal set-up – talking to your parents about your subject over dinner can be just as valuable as a Dragons Den-style grilling from your headmaster – but you have to build up your confidence in stepping out of your comfort zone. Most university tests and interviews aren’t necessarily about quizzing you on what you know, but seeing how you respond to what you don’t, so concentrate on malleable ideas rather than set answers. Finally, for those of you who do have interviews, try and see it as the speed dating of the higher education world – a brief conversation in which they simply want to get to know you better, and then you exchange emails at the end and see what happens! University offers can be like buses – you can wait ages for one, and then three come along at once. Or they can be like the Tube, arriving at steady intervals, and then suddenly have a strike over the holiday period. Or they can be like Ryanair, and unexpectedly offer you a deal to somewhere you hadn’t originally wanted to go. The truth is that university offers are different for everyone and there is no strict timetable that they have to adhere to. In an age of social media the waiting game can be particularly frustrating – in a couple of months the ‘OMG I just got an offer from X’ statuses will start flooding in thick and fast – but don’t worry if your friends have heard back from a university and you haven’t. Some people may have all five offers by Christmas and others may not get their first until after New Year; and the whole process can be as surprisingly quick as it can be notoriously slow. However, if you are unfortunate enough to receive bad news, don’t despair – there may be waiting lists, opportunities for feedback, or even the chance to re-apply next year. But also reassure yourself with the knowledge that it isn’t just a question of which universities you make, but what you make of university in general. Written by - Natasha H.